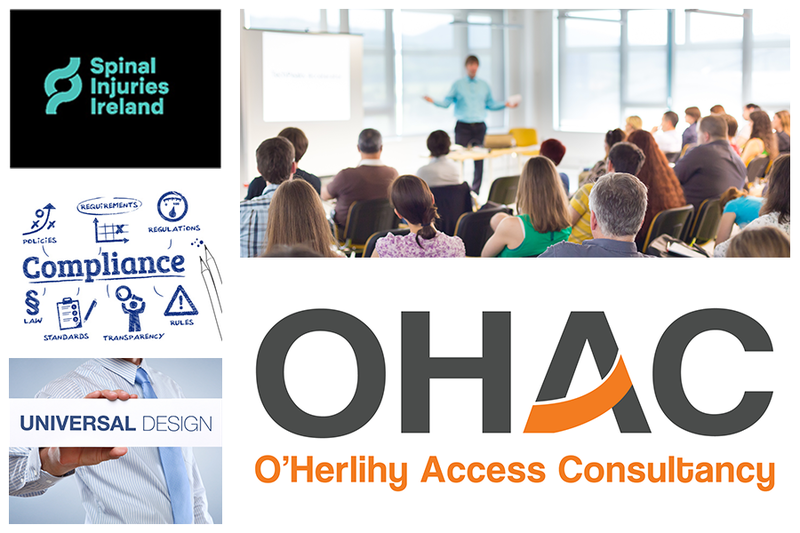 The 2 hour workshop entitled “Accessibility, Part M 2010 and Universal Design in practice” will take place at 7.30am on the 6th November 2018 at the Guinness Enterprise Centre, Taylor’s Lane, Dublin 8 and will cost €70 per delegate, which will include refreshments on arrival. All proceeds from the workshop will be donated directly to Spinal Injuries Ireland (Charity No. CHY11535) which is the only support service for people who have sustained spinal cord injuries. Resources available to implement Universal Design. The workshop will be of interest to all those with an interest in accessibility and Universal Design. CPD Certificates will be issued to all attendees.